Pianist Jim Hendricks grabbed the attention of musicians and family members as a child with the uncanny ability to play anything he heard on records and memorize the printed music that came across the family’s piano. While still in grammar school, Jim was able to transcribe by ear complex harmonies and melodies without the use of a piano. He continued intensive musical studies and was considered a professional as a teenager. After high school, Jim performed with such legends as Dave Brubeck (piano duet), Della Reese, Rita Moreno, Tito Puente, Maynard Ferguson, Jack Jones, Louie Bellson, Clark Terry, Arturo Sandoval, John Davidson, Jon Faddis, and many others. He also competed in several international piano competitions, was a featured orchestral soloist performing the piano music of Rachmaninoff, and was granted a music professorship by the age of twenty-five. While he was on tour with the Glenn Miller Orchestra (the band continues its concert tours since Miller’s death in the War), Jim felt a strong call from the Lord to use his musical gifts for the glory of God. Already being a dedicated Christian for many years, he knew it was time to follow his calling into Christian ministry. Since then, Jim has performed approximately 1,400 Christian piano concerts in churches across the land, including several appearances at the former Crystal Cathedral. 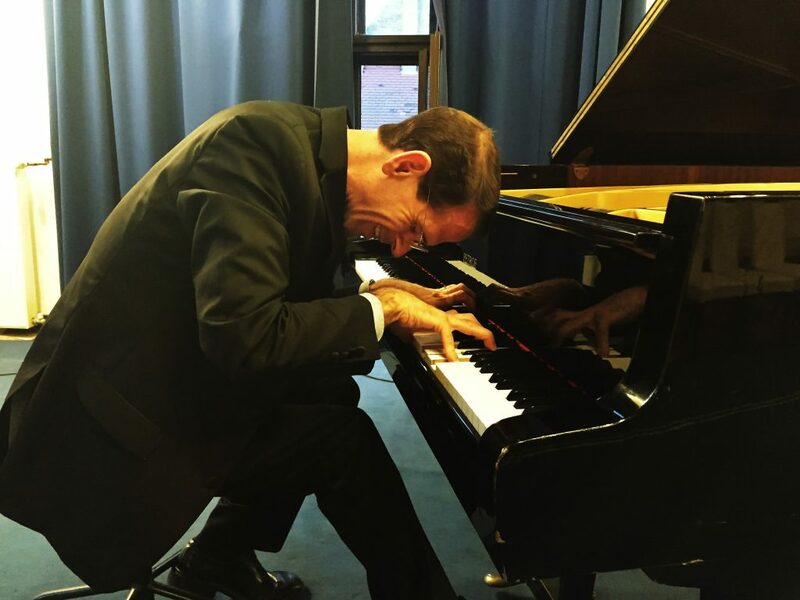 He has made sixteen piano recordings, performed on ABC, CBS, TBN and PAX, authored the book Contemporary Arrangements for Today’s Church Pianist, and been featured in Clavier piano journal. Jim also enjoys writing fiction and poetry, golfing, studying finance and economics, and composing contemporary classical and jazz music.